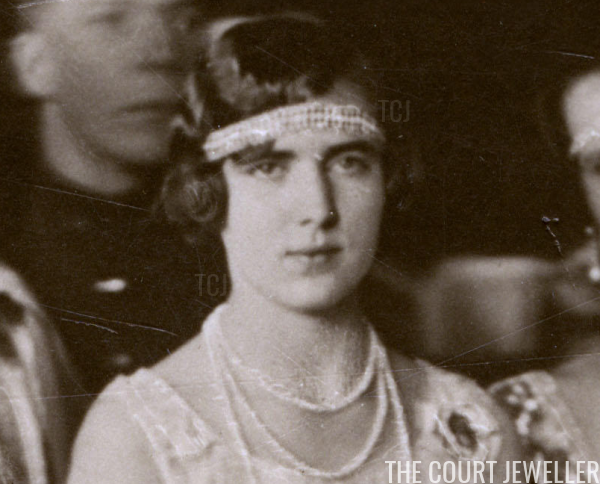 Today's tiara is one of the most intriguing mysteries from the world of Swedish-Danish royal jewels: a little beaded bandeau worn by two fascinating royal women. Here's what we know (and don't know!) about the Connaught Turquoise Bandeau. 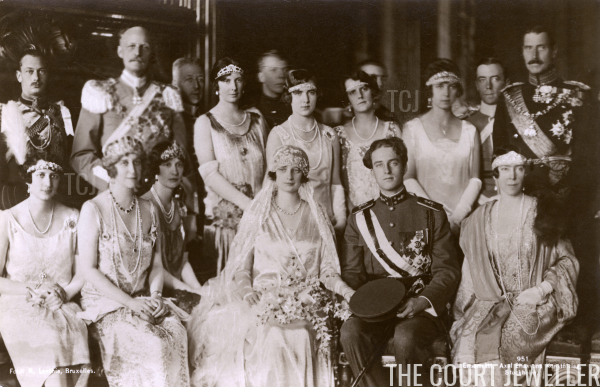 The bandeau is one of several that Margaret of Connaught, who married the future King Gustaf VI Adolf of Sweden in 1905, wore during her lifetime. 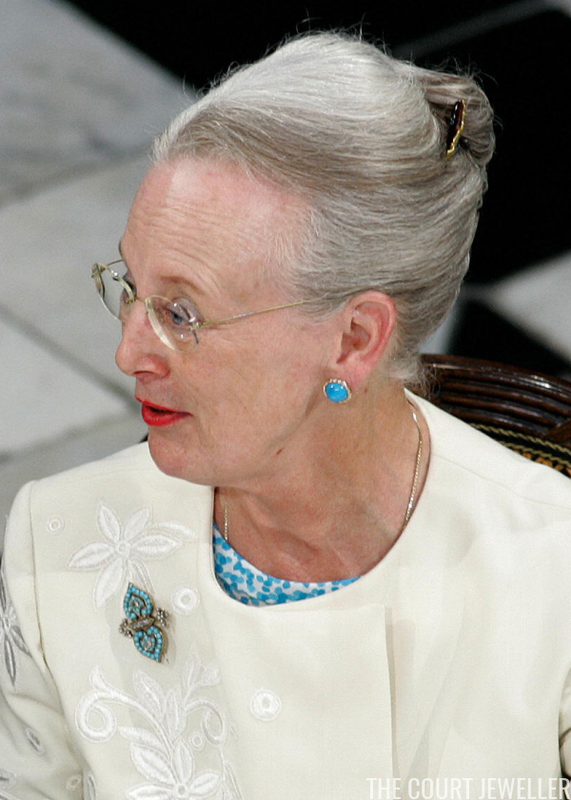 (The most famous is probably her Turquoise Daisy Bandeau, which is now owned by her granddaughter, Queen Margrethe II of Denmark.) 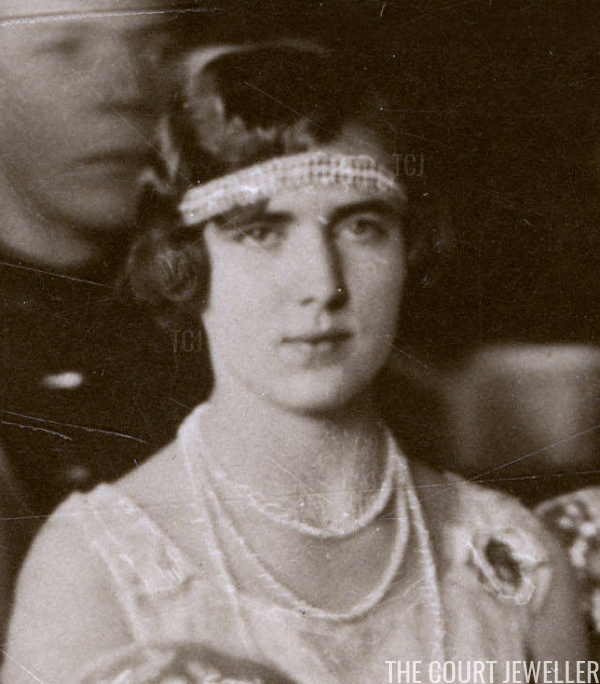 I've heard it said that this little bandeau, which features little rows of beads, may have been set with turquoises and pearls, which makes sense given the other contents of Margaret's jewelry box. Here's a close-up of Ingrid wearing the bandeau for Astrid's wedding. The contrasting rows of beads are clearer here. I've read speculation that this bandeau may be a converted bracelet or necklace, which makes sense design-wise. Unfortunately, we don't seem to know any more about it. 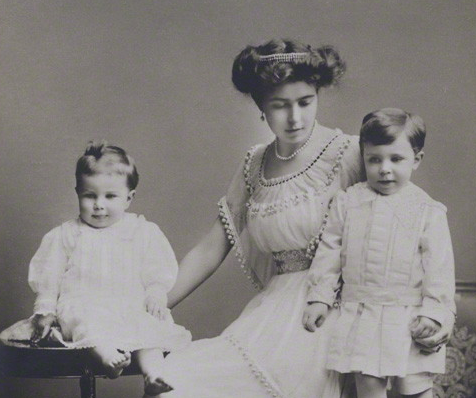 Presumably it still exists somewhere, perhaps in the collections of one of Ingrid's three daughters. Here's hoping we see it again (in some form) someday!